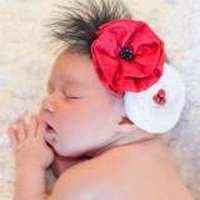 This Christmas outfit for babies will be perfect for all of her Christmas parties! 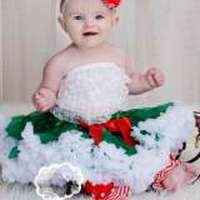 This Christmas baby girl outfit also makes a fun Christmas present for any infant girl. 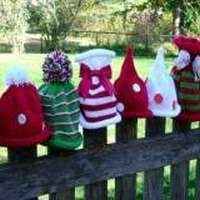 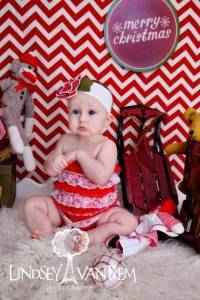 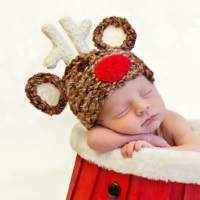 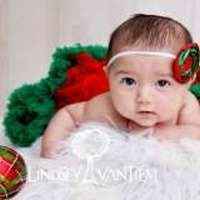 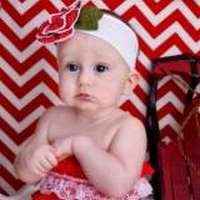 Each Christmas outfit for babies makes a cute professional Christmas baby girl photo prop! 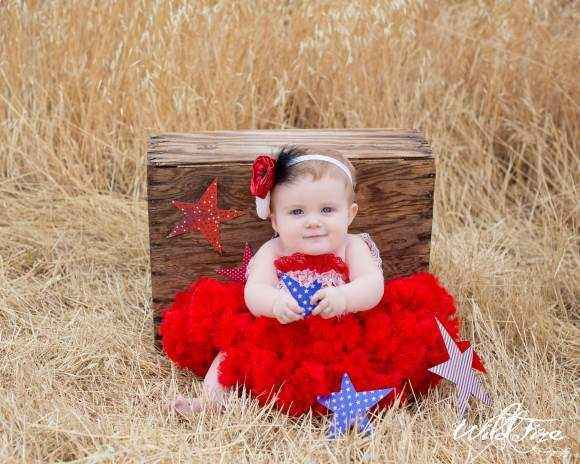 Christmas baby girl outfit makes a unique outfit to wear any day during the Christmas season or for the Fourth of July! 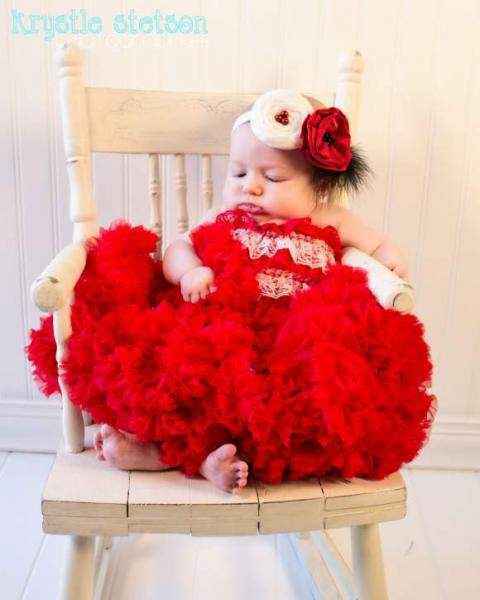 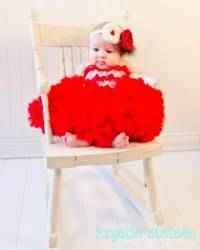 This cute red and white baby romper also looks cute for Valentine's Day, when paired with pink. 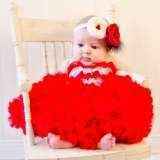 This Christmas outfit for babies makes a fun Christmas gift or Valentine's Day gift!